Equal Exchange is a Fair Trade retailer and wholesaler of coffee, tea, cocoa, nuts and more that was established as a co-op to mirror what is required of Fair Trade farmers. We were early equity investors with Equal Exchange and are thrilled that their company now has more than $70 million in revenue and employs hundreds in their home office and thousands of fair trade cooperatives around the world. Equal Exchange has extended its work to Fair Trade bananas with Oké USA, connecting United States banana buyers with the pioneering banana farmers co-ops in Ecuador and Peru. The Untours Foundation has backed this project with equity. Look for the Equal Exchange sticker on your bananas to support a model that respects farmers, strengthens communities and is good for the environment. 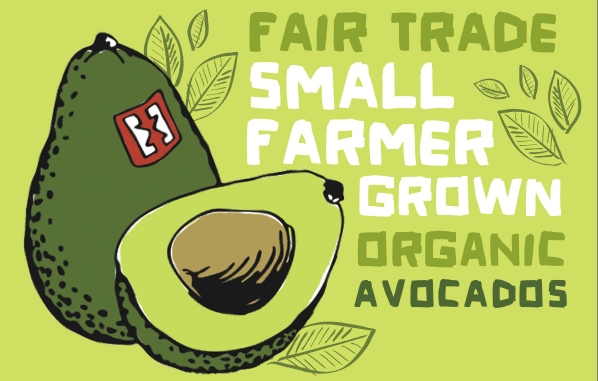 Update: In 2014, Equal Exchange/Oké USA has started importing Fair Trade avocados! Read all about it here.